Book Sale setup in the Library’s Program Room got underway Monday morning. Somers Library Foundation volunteers were busy organizing the adult fiction sale tables. 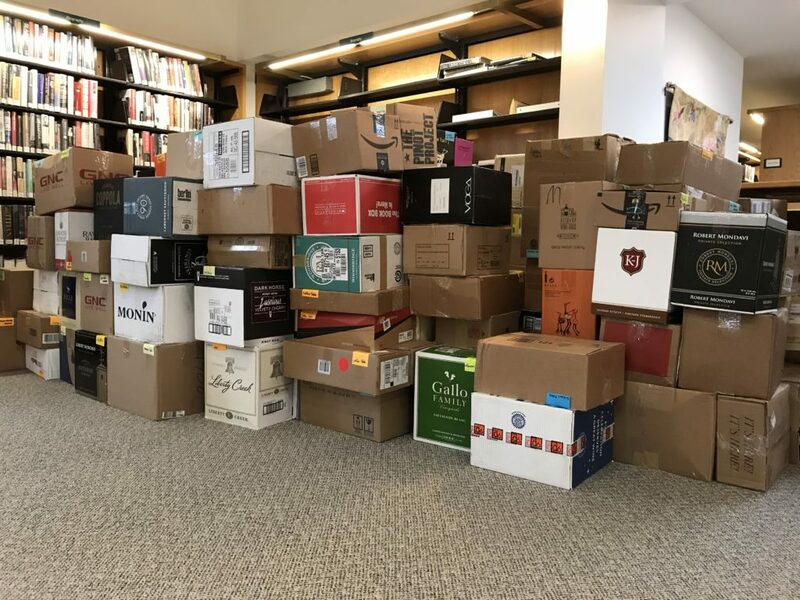 The Used Book Sale opens Friday with a special early bird preview from 4 to 7 p.m. $10 donation at the door gets you in. The volunteer team will also be setting up the Library’s Reading Room sale tables over the next few days. On display will be thousands of children’s books, parenting, gardening, cooking and other special interest books. 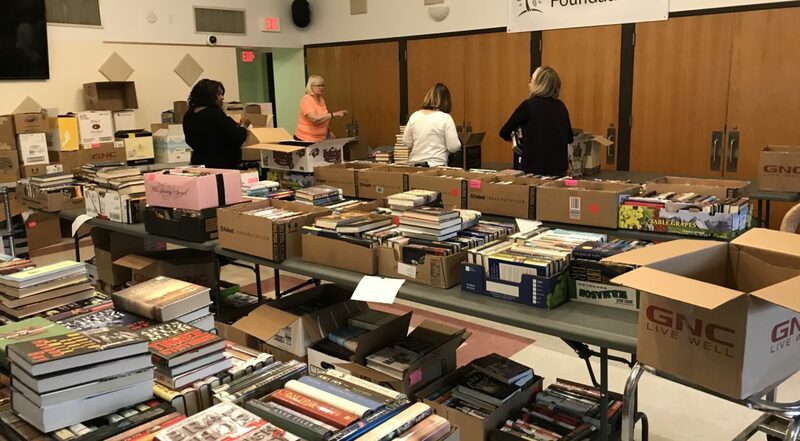 Great book buys will start Friday evening and continue through Monday afternoon at the Somers Library Foundation Used Book Sale. We hope to see you there!